Fourth-placed Real Madrid host Sevilla this Saturday, January 19. Both teams are locked on 33 points apiece as they going into the encounter. Los Blancos will be hoping to get another three points in the bag after their previous 2-1 victory against Real Betis as they venture to move up the log standings. Former South Africa striker, Alton Meiring gets in on this week’s matches. Do you agree with his predictions on the following games? Useful facts: The greatest significance of this game lies in the fact that both teams are on 33 points. The visitors are slightly better than Real Madrid in both scoring and conceding – they have netted 31 goals in comparison to Los Blancos’ 28 and have let in 20, while Santiago Solari’s men have seen the ball hit the back of their net 24 times. The immediate mission for both sides is to unseat Atletico Madrid, who are on 38 points, from the second position as soon as possible, with log leaders Barcelona (43 points) out of reach for now. Madrid laboured to a 2-1 victory over Real Betis in their last league encounter and it could yet be another tricky day at the office for the LaLiga giants on Saturday. Useful facts: On paper, there is no match. Atletico Madrid look set to continue breathing down the neck of Barcelona at the top of the table and are favoured to put the hapless Huesca to the sword. But the home side should take heart from their last league encounter where, despite losing 1-0 away to Leganes, they were impressive and had the better ball possession. 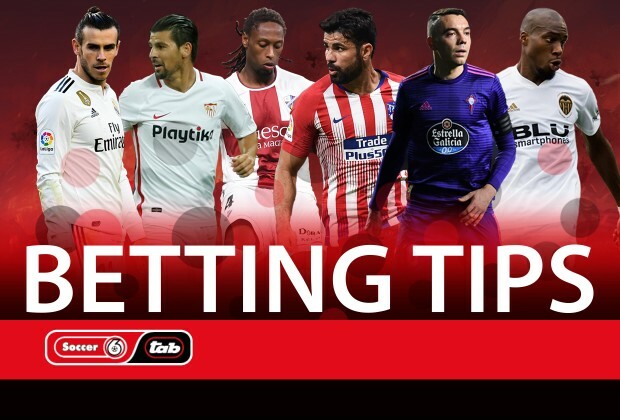 But for a team of their quality – or lack thereof – who have conceded 36 goals in 19 games and won only two games s far, trying to overcome the marauding Atletico may be too tough an ask on the day. Useful facts: It’s interesting to note that Celta Vigo have won more games than Valencia, but the two teams are seven places apart in the league table. Listen to this: only two points separate them! So a win for Celta Vigo could see them making a quantum leap towards the top half of the standings. Seeing they are at home, they will go for that win, but will need to shut the back door, as they have conceded a whopping 32 goals in 19 league encounters. What should give them hope is the fact that Valencia are a low-scoring side, having netted only 17 goals in 19 games. The last match between the two sides, back in September last year, ended in a 1-1 draw.